The summer 2017 LEGO Batman Movie haven’t officially been released on [email protected] yet but there’s already rumors of some 2018 TLBM sets coming from Delta Customs. The first set is Batman Dune Buggy which includes minifigures of Batman and Captain Boomerang. The other set is called Egghead’s Food Fight which has Egghead’s mech and also includes Condiment King. 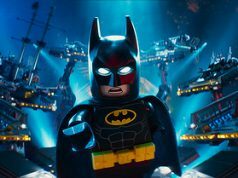 It’s interesting that LEGO may be releasing another wave of The LEGO Batman Movie sets next year. There has already been talks of another minifigures series for the movie as well. Note that the images used are not leaked images of the sets as they come from The LEGO Batman Movie: The Making of the Movie book which I highly recommend as it does give a lot of behind-the-scenes things such as concept art, sketches, and builds. They also might not be the final versions of the rumored sets but at least we have an idea of what they could look like. Some more future sets may also be hidden in plain sight in this book.